Suspected cultists yesterday burnt 65-year-old Adejoke Adefuye to death after setting her residence on fire. 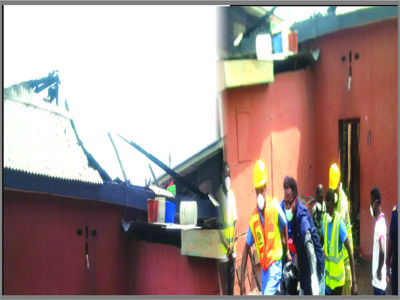 The incident, which occurred at 19, Oshinfolarin Street Bariga, Lagos, also rendered all occupants of the building homeless.It was learnt that the hoodlums had struck at about 9am, trapped the woman inside her room and set it on fire, the Nation reports. The suspected arsonists, it was gathered, camped behind the deceased’s room to ensure she did not escape. The latest incident is the second by suspected cultists last week. According to residents, the arsonists were on a reprisal mission and had stormed the area since Friday night to terrorise people. While other occupants of the building were said to have escaped with minor injuries, Adefuye who was inside one of the rooms, was burnt beyond recognition. It took fire service officials and other emergency responders about three hours to put out the fire.